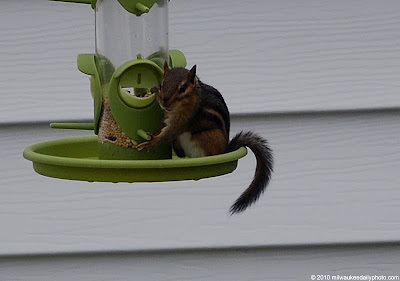 I believe I have found the reason that the bird feeders in my backyard are emptying so quickly. Now, if I can just figure out how he's getting up there. Great capture of the culprit, so to speak!